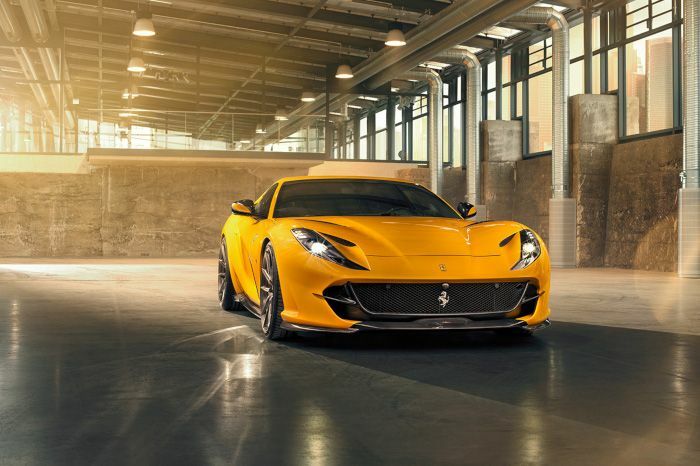 The new Ferrari 812 Superfast was treated by the famous tuning company, and the focus of the latest developments from NOVITEC. NOVITEC carbon aerodynamic-enhancement components not only lend the two-seater an even more distinctive motorsport-inspired design, but also optimize the aerodynamics. 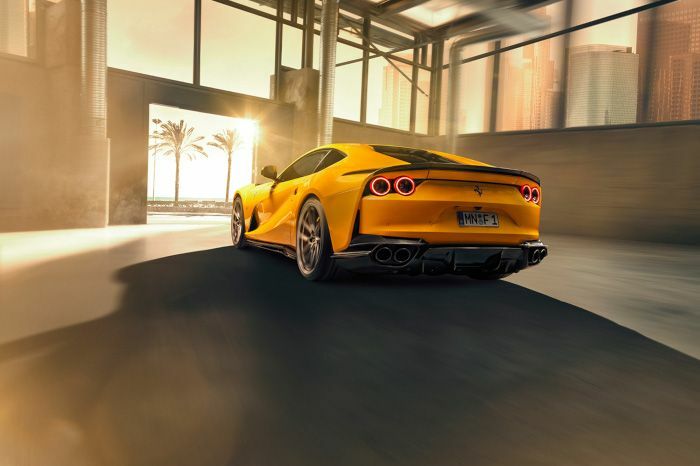 The appearance of the 812 Superfast has been enhanced with NOVITEC hi-tech forged wheels are equally attractive, efficient and puts even greater emphasis on the wedge shape of the coupe. The NOVITEC sport springs lower the center of gravity further. To negotiate everyday obstacles such as up and down ramps in underground parking structures, NOVITEC offers the front lift system. While performance upgrades for the 6.5-liter V12 are still in the development phase, NOVITEC high-performance exhaust systems that optimize the power delivery and come optionally with actively controlled exhaust note are already available now. In addition, they offer weight savings of up to eleven kilograms over the production exhaust depending on the version. Another NOVITEC specialty is crafting exclusive interiors tailored to the vehicle owner's preferences in every detail with regard to color and design.